Easter Feaster 2012 #FINISHRevolution Challenge. This past weekend was a marathon of making meals, getting our home ready for guests, and testing a treat recipe worthy of serving to guests and to give away. 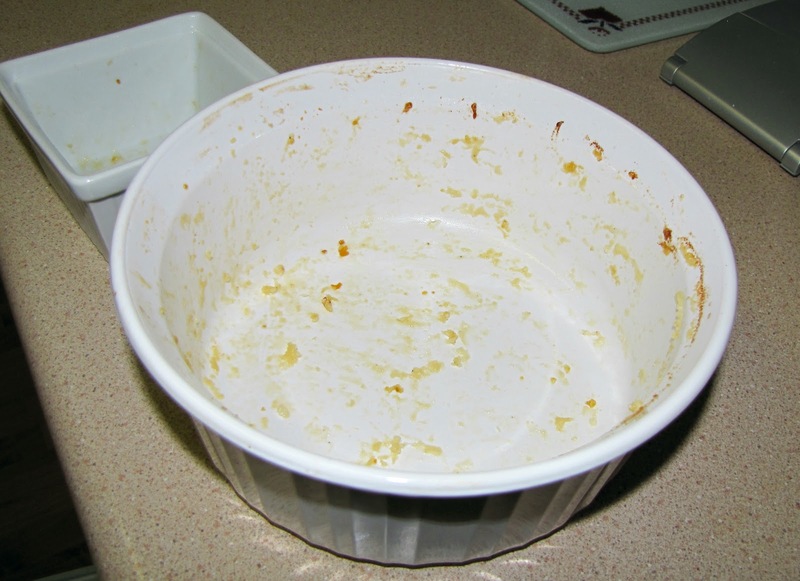 Before I owned a dishwasher I would soak casserole dishes and pots in the sink overnight and sometimes even avoid scrubbing them for days and days. Heck, even when we got the dishwasher 2.5 years ago, I still had a panic attack at the thought of putting really grimy or caked on things in there. First of all, I can't afford a plumbing bill if it breaks down and I hate to re-wash something that hasn't come out of the dishwasher completely clean. If baked on food gets baked on even further from the wash-rinse-dry cycles of the dishwasher ~that's a waste of energy, money and time. Here I go rambling again! Let's rein it in and get back on topic, my long weekend went something like this. We hosted my in-laws on Friday. After church they piled into our tiny living room and fed chocolate to my 2 year old while I whipped up lunch. 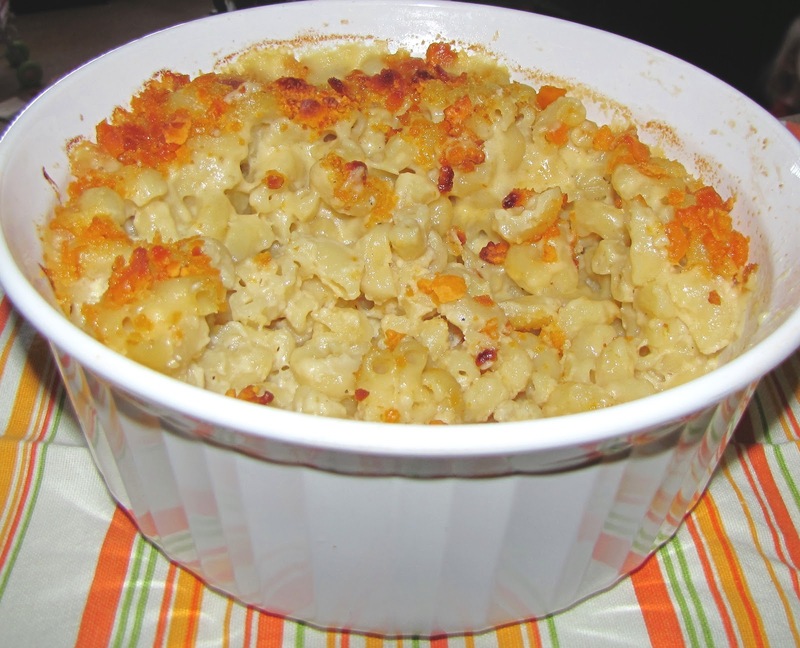 I cooked one of my favourite meals to make and eat ~ "Easy Peasy Mac and Cheesy". Later, I attempted two rounds of testing a Chocolate Birds Nest recipe with my 2 year old. As if she hadn't had enough sweets. Normally we run the dishwasher once a day, or even once every two days. It was a 2 cycles kind of day, with surprising results each time! I put FINISH Quantum Powerball tabs to the test and decided to see if they truly are successful with dishes that have not been pre-rinsed/washed. but a nightmare to scrub because it's baked. For the first time ever, I didn't soak or pre-soak the dish. and put a FINISH Quantum dishwashing tab to the test. One FINISH Quantum tab and one 'Pots and Pans' cycle later! Included one more round of making the Chocolate Birds Nest recipe because my guests ate too many the day before. Of course my 2 year old insisted on 'helping". 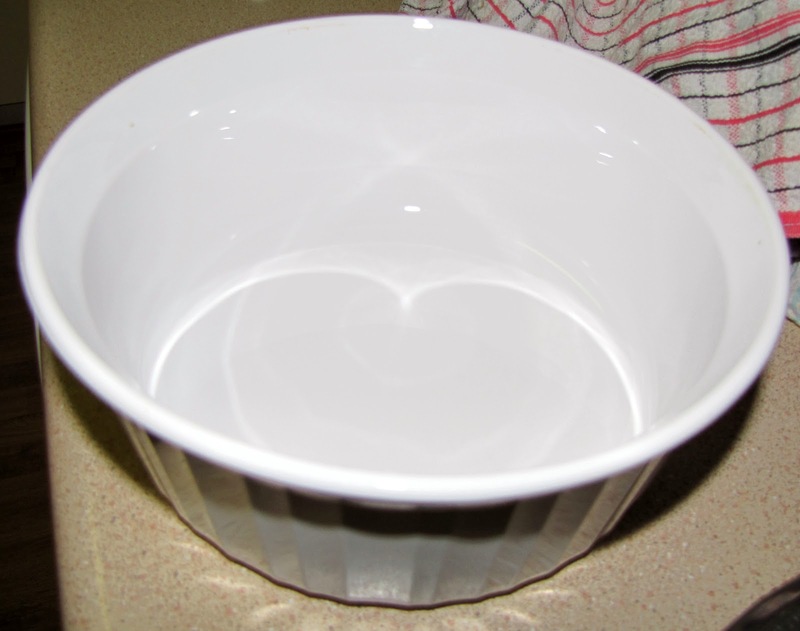 So I ended up using more dishes than I wanted because the easiest way to cool chocolate down (to make it safer for young helpers) is to put it into glass bowls. As if she hadn't had enough sweets. As we worked, I shoved a brown sugar glazed ham into the slow cooker and baked some cheesy scalloped potatoes. It was another 2 cycles kind of day, with fabulous results each time thanks to FINISH Quantum Powerball tabs. This is my dishwasher before the second cycle on Saturday evening. Can you guess what the results were? More chocolate...eating leftovers... more dishes... more chocolate. As if she hadn't had enough sweets on Friday and Saturday. My big weekend of cooking, cleaning, and eating was highlighted by having more time to spend with my guests and family. I also didn't have to worry about pulling a dish or fork out to serve my guests and having old food caked on it. FINISH Quantum Powerball tabs lived up to the no-rinse promise. Want to see more photos from my Easter Feaster and resulting dishwashing marathon? Check out my Easter Feaster Google+ album or Finish Challenge facebook album. Are you new to the FINISH brand or already a loyal fan? Connect with other members of the Finish Revolution on Facebook. It is so amazing what those tabs can do! I've been amazed about my test runs so far! Those tabs are amazing!! They do an amazing job!! Love your mac and cheese! Love homemade Mac n Cheese but it is a pain to clean. Looks like it's super easy now with Finish Quantum! Mmm, Mac & Cheese - yummm! Great challenge. I find anything with cheese super difficult to clean off especially once it's hardened.